Preheat oven to 160°C (325°F). Place the butter, sugar and ½ tablespoon of the vanilla in the bowl of a stand mixer and beat for 8–10 minutes or until pale and creamy, scraping down the sides of the bowl. Add the eggs, one at a time, beating well after each addition. Gradually add the flour and beat on low until just combined. Spoon the mixture into a lightly greased 22cm springform tin lined with non-stick baking paper and cook for 45–50 minutes or until cooked when tested with a skewer. Allow to cool completely in the tin. Using a skewer, prick holes all over the top of the cake. Place the three milks, half of the dulce de leche and remaining vanilla in a large jug and whisk well to combine. Place the cake tin on a tray to catch any leaks and gradually pour the milk mixture over the cake. Refrigerate for 2–3 hours or until the milk mixture is absorbed. Remove cake from tin and place on a plate. Place the cream in a bowl and whisk until soft peaks form. 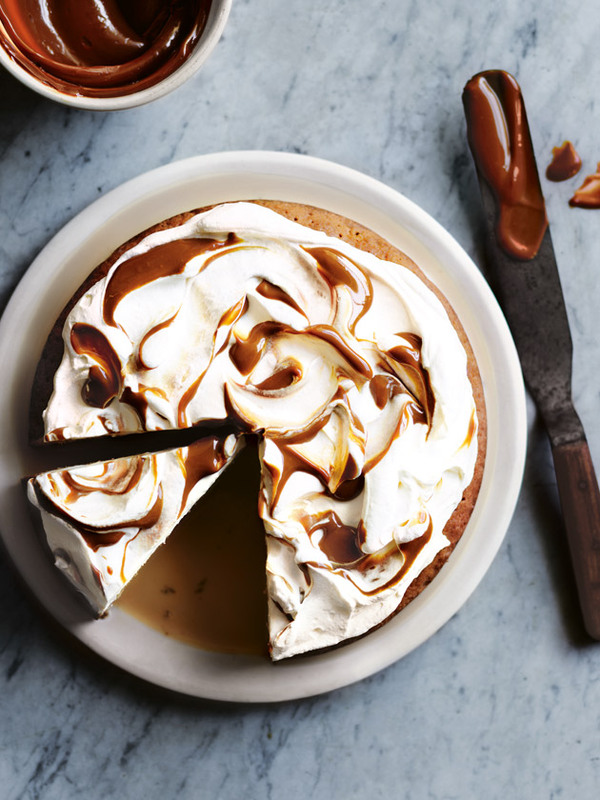 Top the cake with the cream and drizzle with remaining dulce de leche to serve. Serves 8–10.